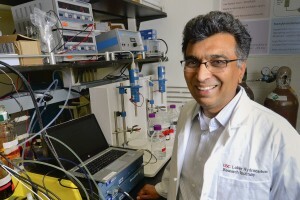 They’re making fuel from thin air at the USC Loker Hydrocarbon Research Institute. 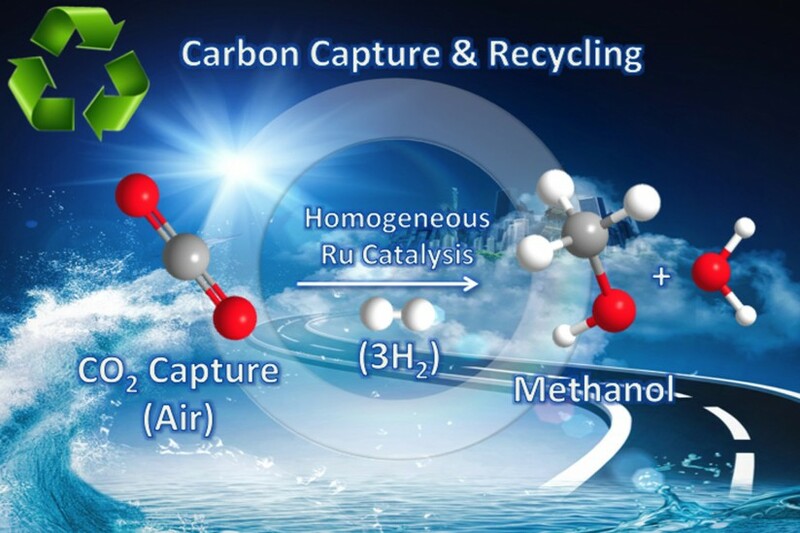 For the first time, researchers there have directly converted carbon dioxide from the air into methanol at relatively low temperatures. 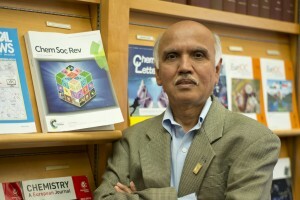 The work, led by G.K. Surya Prakash and George Olah of the USC Dornsife College of Letters, Arts and Sciences, is part of a broader effort to stabilize the amount of carbon dioxide in the atmosphere by using renewable energy to transform the greenhouse gas into its combustible cousin – attacking global warming from two angles simultaneously. Methanol is a clean-burning fuel for internal combustion engines, a fuel for fuel cells and a raw material used to produce many petrochemical products. We need to learn to manage carbon. That is the future. “We need to learn to manage carbon. 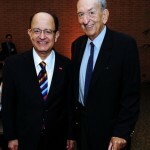 That is the future,” said Prakash, professor of chemistry and director of the USC Loker Hydrocarbon Research Institute. The researchers bubbled air through an aqueous solution of pentaethylenehexamine (or PEHA), adding a catalyst to encourage hydrogen to latch onto the CO2 under pressure. They then heated the solution, converting 79 percent of the CO2 into methanol. Though mixed with water, the resulting methanol can be easily distilled, Prakash said. The new process was published in the Journal of the American Chemical Society on Dec. 29. Prakash and Olah hope to refine the process to the point that it could be scaled up for industrial use, though that may be five to 10 years away. Previous efforts have required a slower multistage process with the use of high temperatures and high concentrations of CO2, meaning that renewable energy sources would not be able to efficiently power the process, as Olah and Prakash hope. The new system operates at around 125 to 165 degrees Celsius (257 to 359 degrees Fahrenheit), minimizing the decomposition of the catalyst – which occurs at 155 degrees Celsius (311 degrees Fahrenheit). It also uses a homogeneous catalyst, making it a quicker “one-pot” process. In a lab, the researchers demonstrated that they were able to run the process five times with only minimal loss of the effectiveness of the catalyst. Olah and Prakash collaborated with graduate student Jotheeswari Kothandaraman and senior research associates Alain Goeppert and Miklos Czaun of USC Dornsife. The research was supported by the USC Loker Hydrocarbon Research Institute. The USC scientist has advanced methanol chemistry and helped develop viable alternatives to fossil fuels. Nearly 300 of George Olah’s colleagues and former students arrived from throughout the world to celebrate the 35th anniversary of the Loker Hydrocarbon Research Institute and Olah’s 85th birthday. George Olah and G.K. Surya Prakash have received a first-ever $1 million prize from the State of Israel for their innovative research on alternative fuels. Intended for use in power plants, the battery can make the energy grid more resilient and efficient.